Exciting times here, as I’ve just signed a contract with a publisher to write and illustrate (lots of new photos) a book on Victorian and Edwardian industrial architecture – that is, the buildings most industrial archaeologists seem not to care so much about, meaning the factories and works rather than the mines, infrastructure etc. I have this year and most of next to write the book, and sort out several photography trips, as the whole of the UK is involved, as well as the Republic of Ireland. Publication probably 2016 I suppose. Happy days! 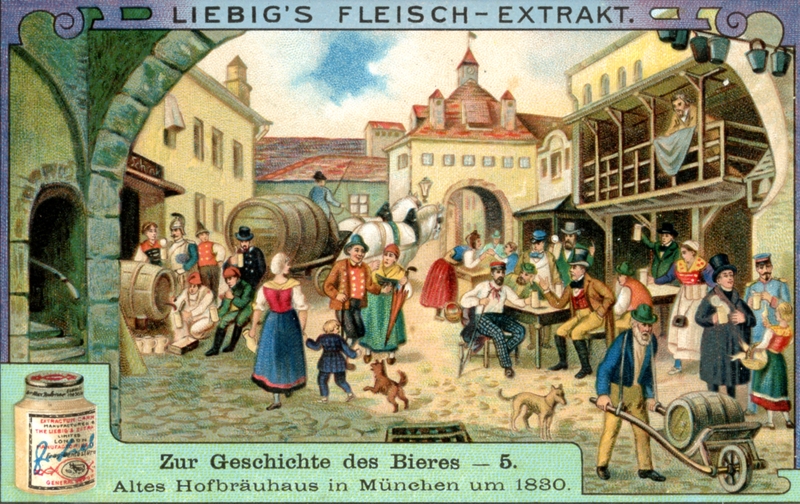 My illustration this week is one of Liebig’s trade cards showing a jolly view of the brewhouse in Munich, presumably during Oktoberfest. Enjoy…. This entry was posted in Breweries, Industrial architecture and tagged beer. Bookmark the permalink.